I married young and am still married it's been 37 years, I had all my children in my 20's giving up career to raise them. Now I have an empty nest and filled it with two dogs that keep me active, plus helping manage my husbands law office and sometimes doing some interior design work. 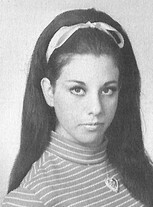 Linda Hurst Letizia has a birthday today.